David Fettig, age 64, of St. Joseph, MN, died Saturday, December 1, 2018, at the St. Cloud Hospital following a lengthy illness. A Funeral Mass of Christian Burial will be held at 10:30 A.M. on Thursday, December 6th, at St. Donatus Catholic Church in Brooten, with Father David Grundman officiating. Visitation will be from 4:00 - 7:00 P.M. on Wednesday at the Hoplin-Hitchcock Funeral Home in Brooten, with Parish Prayers at 5:00 P.M. Visitation will resume at the church on Thursday at 9: 30 A.M. and run until the time of service. Interment will be in St. Donatus Cemetery, rural Brooten. Arrangements are with Hoplin-Hitchcock Funeral Home of Brooten. David Lee Fettig, son of Peter and Lorraine M. (Hilfer) Fettig, was born on January 26, 1954 in Mandan, ND. When David was four years old, his family moved to a farm in Bangor Township, Minnesota, near Brooten, where they farmed. He attended school in Brooten and graduated from Brooten High School in 1972. That fall, David attended Willmar Technical College where he earned a degree in Electronics/Communications and trained to be a Mobile Communications Technician. 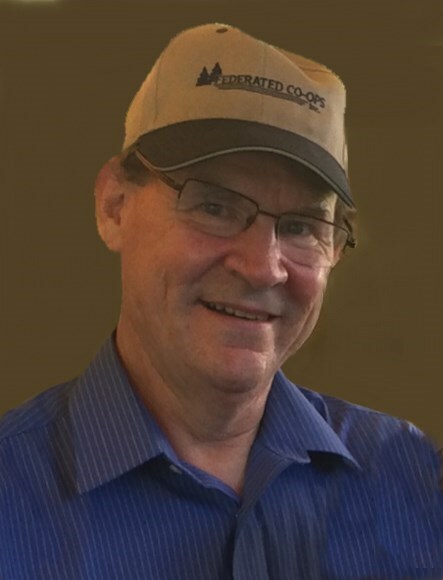 In the late 1970’s, he accepted a job with Air Comm in Waite Park, MN, where he worked until he purchased the company with a business partner in 1985, then in 1998 he bought out his partner and became sole owner. David loved his work and continued working through his diagnose and treatment of Chronic Lymphocytic Leukemia (CLL) in 2002. In 2004, his cancer went into remission, until two years ago when it came back as MDS, a bone marrow disorder, and later ALL (Acute Lymphocytic Leukemia). David continued to courageously fight the cancer, never giving up. He sold Air Comm, just a few months ago, but continued working there until the time of his death. David enjoyed snowmobiling, deer hunting and hunting pheasants. He especially loved spending time with his grandson; the two were inseparable. David will be remembered as an amazing father, grandfather, and brother. He passed away on Saturday, December 1, 2018, at the St. Cloud Hospital. Blessed be his memory. David is survived by his son, Adam Fettig and his girlfriend Alysa Ramsey of St. Joseph, their son and David’s grandson, Colton Fettig; his sister, Lori Darling of Richmond, VA; three brothers, Lyle (Debbie) of Brooten, Curt (Carla) of Willmar, MN, and Leslie (Emma) of Ashburn, VA; sister-in-law, Julie Fettig of Niobrara, NE; special goddaughters, Marissa Blake and Trish Lahr; as well as many nieces, nephews, other relatives, and friends. He was preceded in death by his parents, Peter and Lorraine; and his brother, Ron.